Vanilla, amber and oud: three staples of perfumery that are both exotic and genre-defining. 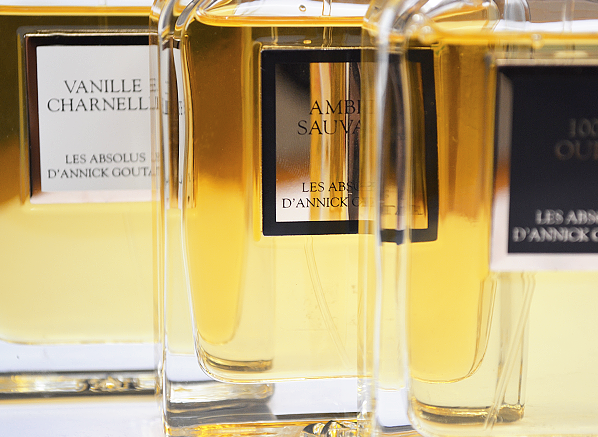 It’s no wonder that legendary fragrance house, Annick Goutal picked these three materials to be the focus of their new trio of fragrances; ‘Les Absolus d’Annick Goutal’. Created with a joint mission of showcasing exceptional raw materials and to take the nose of the wearer on a journey to the middle east, Les Absolus d’Annick Goutal is an uncompromising triumvirate of scent that does its utmost to stand out from the mainstream. The three fragrances in the collection are; 1001 Ouds, an ode to the famous rose-oud accord that is described as being “more precious than an opulent gemstone”; Vanille Charnelle, a delicious essay in vanilla that is “redolent of a sumptuous milk bath before an intimate encounter” (ooh, Matron); and Ambre Sauvage, an unusual amber that promises “rapturous beauty”. Annick Goutal are pulling out all the stops with this collection and present three excessive compositions that don’t scrimp on quality or ingenuity. Let’s take a sniff! 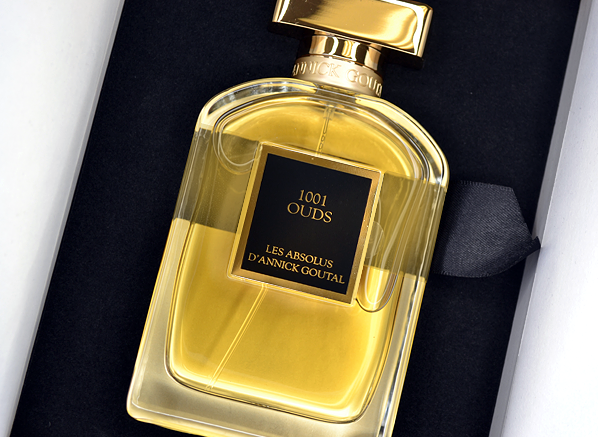 I’m sure there is a joke to be made in the name of 1001 Ouds – something about the exact number of oud-based fragrances launched within the last five minutes. Anyway, 1001 Ouds isn’t a commentary on the perfume industry, instead it’s described as a “modern love story that captivates with the alluring presence of oud wood” and takes the wearer on “an enchanting journey.” As clichéd as that may sound for a fragrances inspired by the middle east, 1001 Ouds really does feel like an Arabian fantasy. It centres around a supple and velvet-like rose-oud accord that is both heavily textured and transportive, creating the idea of an olfactory magic carpet, with a tapestry richly embroidered with intertwining threads of the sour, medicinal and funky tones of oud. 1001 Ouds dries down to a base of smoky woods and birch tar, hinting ever so slightly at rich pieces of leather. This isn’t the most exciting oud out there, but those that want something traditional, high quality and infinitely wearable will find 1001 Ouds right up their street. Is there any smell more satisfying than the smell of vanilla? I think not. I’m not referring to the fake-smelling vanilla cake batter odour that is often used in fragrance (although, that’s pleasurable in its own way), I mean the real stuff, the stuff that is soft, spicy, caramel like, rich and roasted – that unmistakeable smell of vanilla pods, seeds and extract. 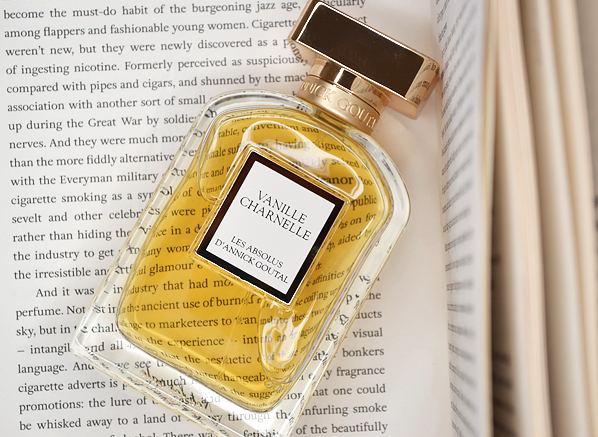 Vanille Charnelle does a good job of recreating real vanilla, focusing on its syrup and rum facets to create a fragrance that is gourmand yet transparent enough not to be sickly. A prominently synthetic-smelling woody note fizzes along underneath the vanilla, giving it a slightly abstract edge and softening the texture to make the whole thing feel light and silky. Vanille Charnelle strikes me as a vanilla fragrance for those that want something rich, exotic and delicious without the inevitable sugar-induced tummy ache. In that respect, it does a good job. I do love a good amber, and a ‘good amber’ to me is a scent that has all the familiarly sweet fuzziness of the accord, but adds something new as well. So many ambers smell the same, so it’s always refreshing when one that marches to a different beat comes along. Ambre Sauvage is one such amber, and it adds the unusual note of shortbread to the recognisable amber style. That’s right, this is a biscuity amber that is dry and savoury, what’s more it has a cooling menthol effect thanks to incense, which along with patchouli, makes the whole thing feel as if it is slightly out of focus and difficult to fully perceive. 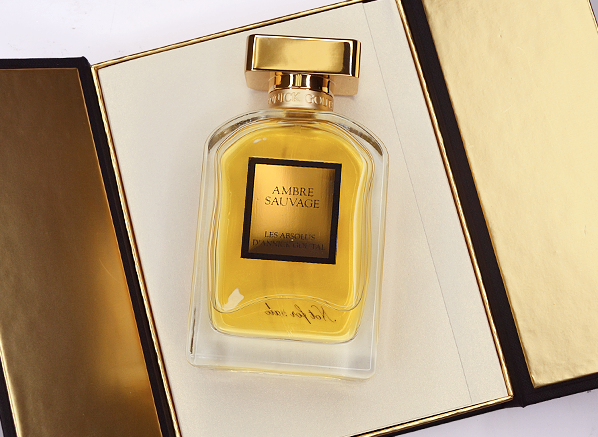 I must admit that I find Ambre Sauvage quite an intriguing scent to wear, especially as it feels rather un-pretty, almost as if it is an ugly little duckling of an amber whose beauty lies in its ability to stand out from the crowd. Do give it a sniff. This entry was posted on Wednesday, October 21st, 2015 at 10:46 am and is filed under Candy Perfume Boy, Fragrance. You can follow any responses to this entry through the RSS 2.0 feed. You can skip to the end and leave a response. Pinging is currently not allowed.